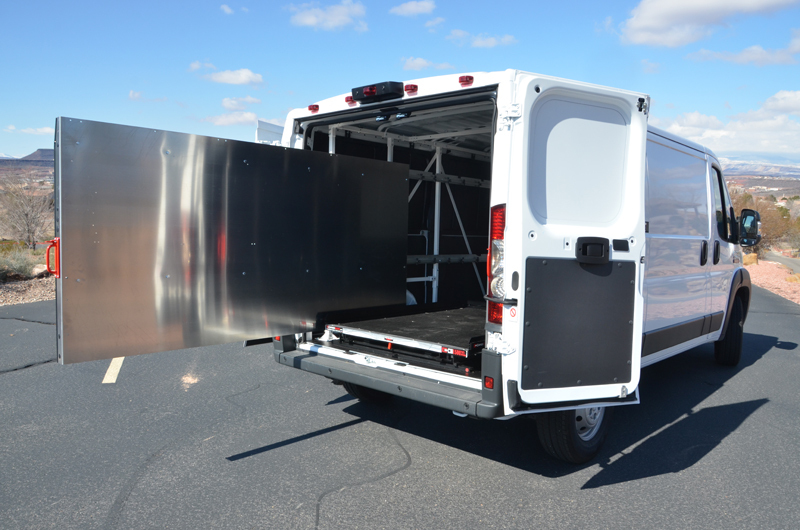 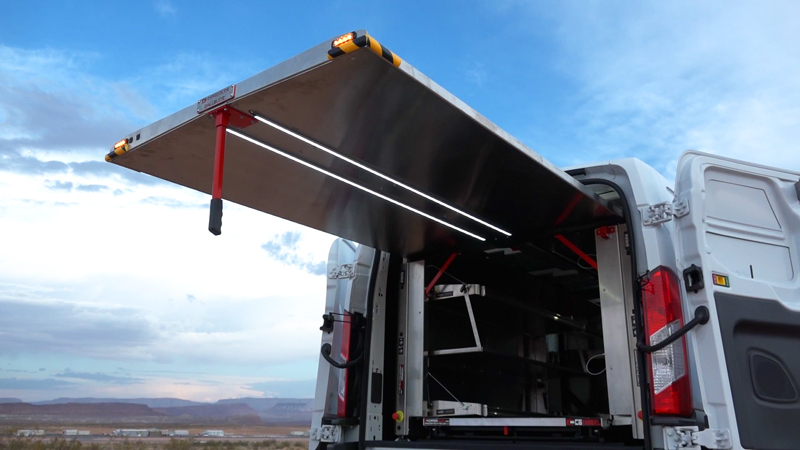 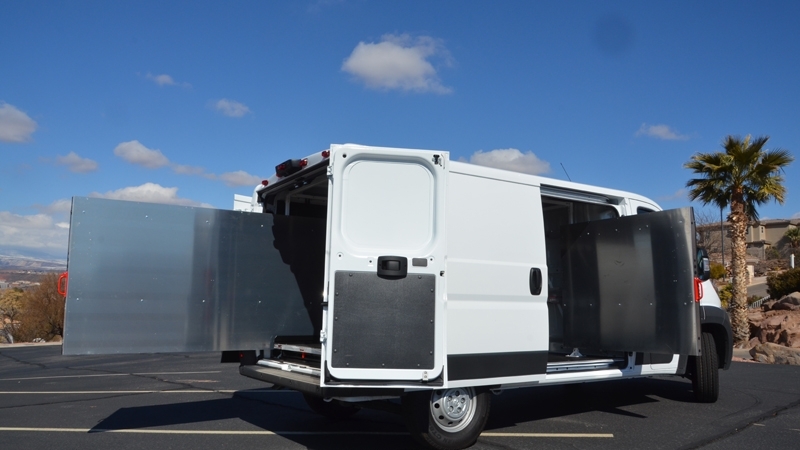 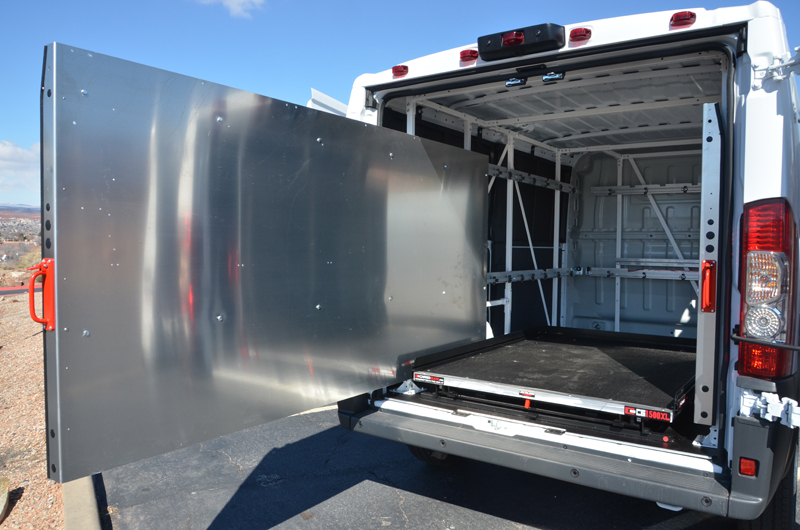 The WallSlide System is a steel framework mounted inside the van with aluminum sliding bare walls. 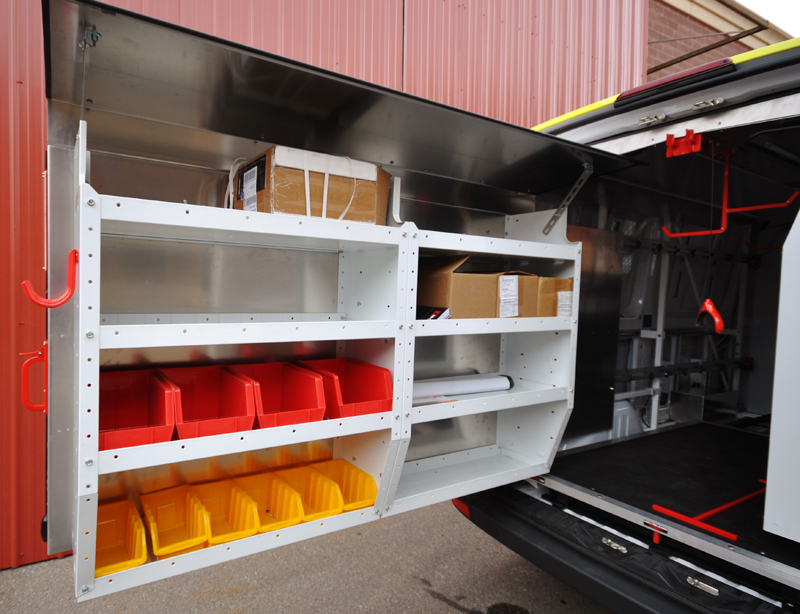 You can mount most brands and sizes of shelving to WallSlide. 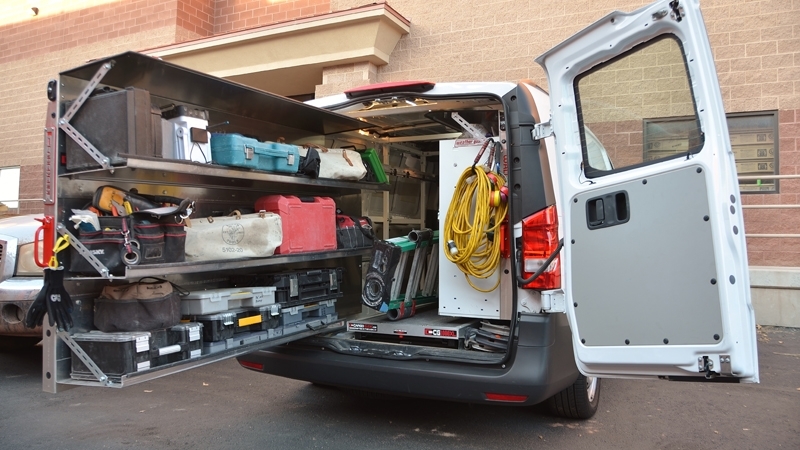 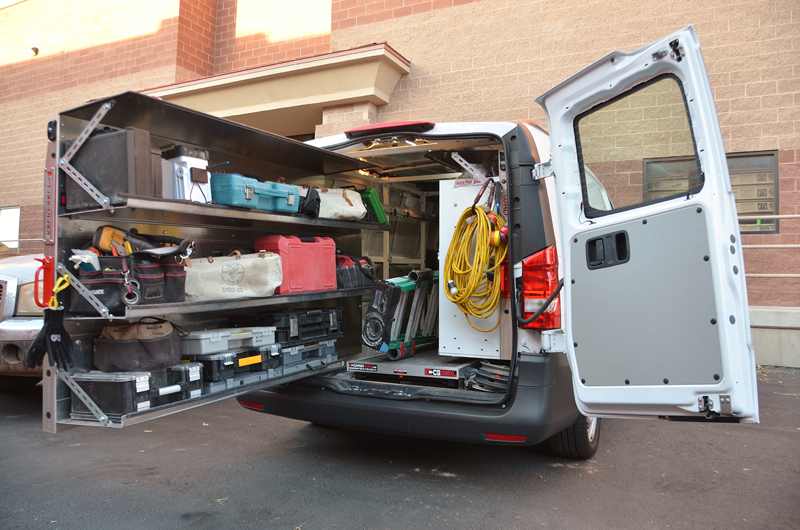 You can be creative as need to be when you choose how to best maximize the storage space in your van. 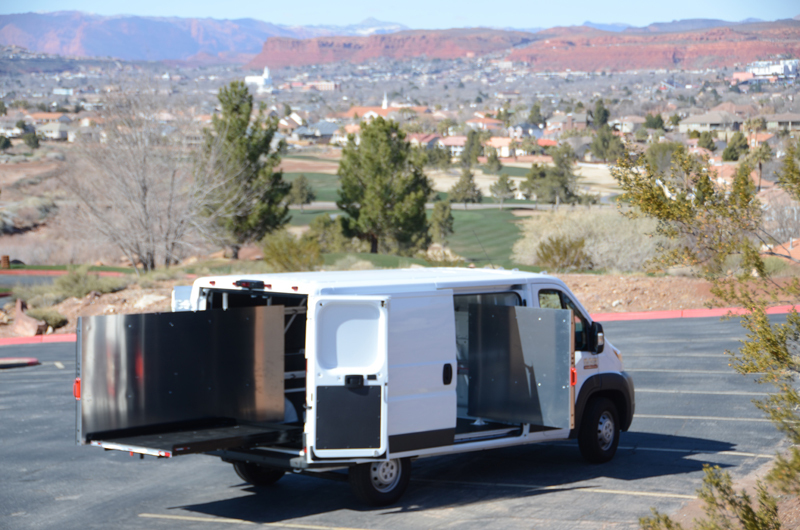 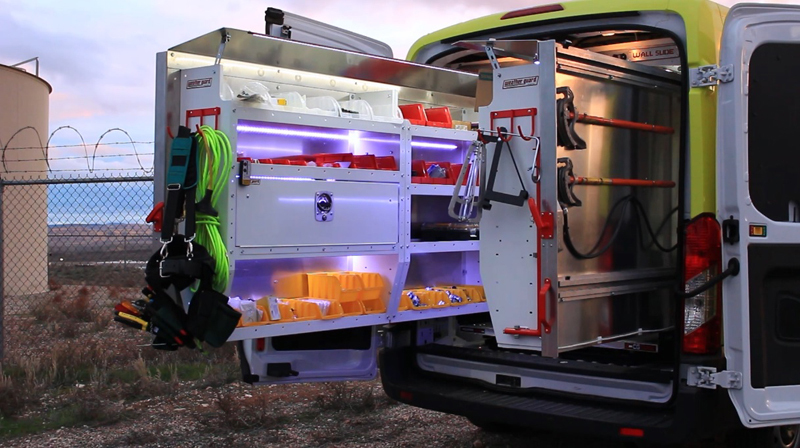 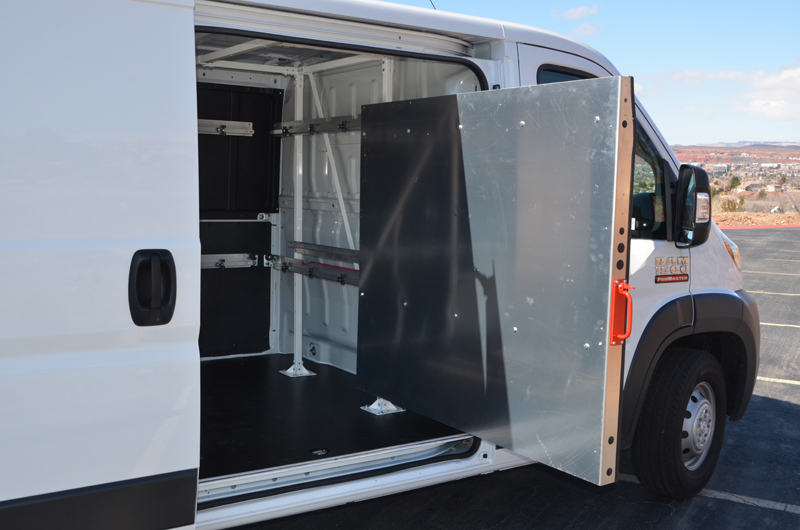 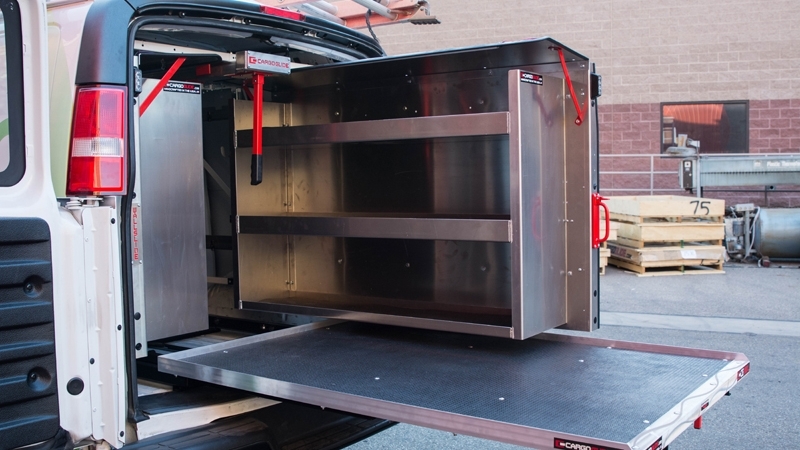 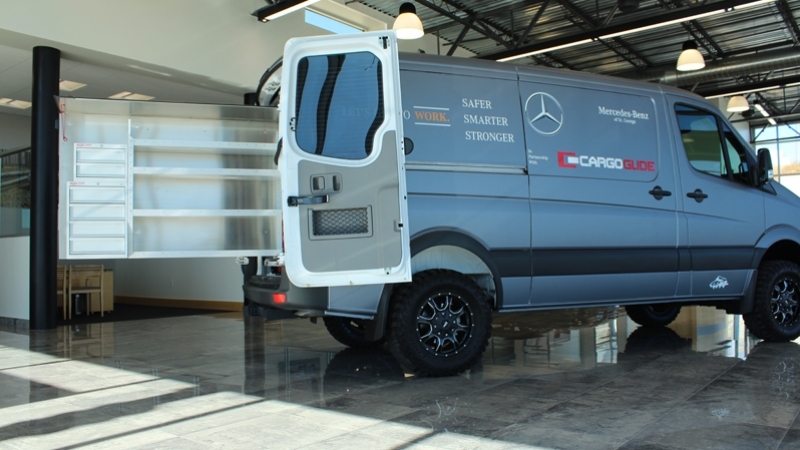 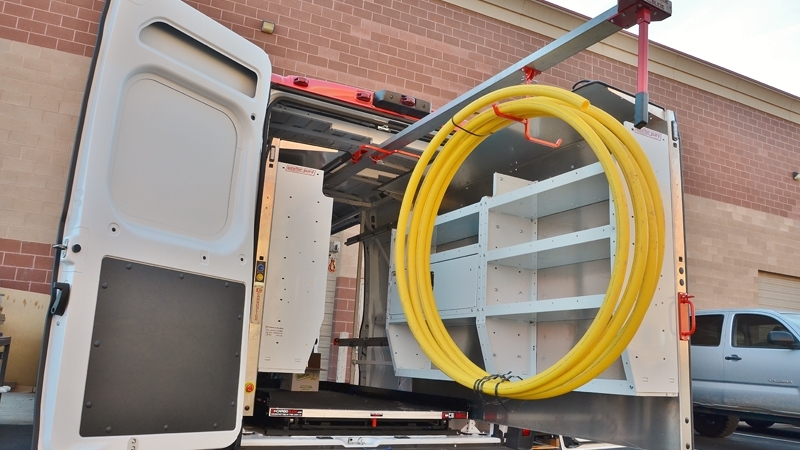 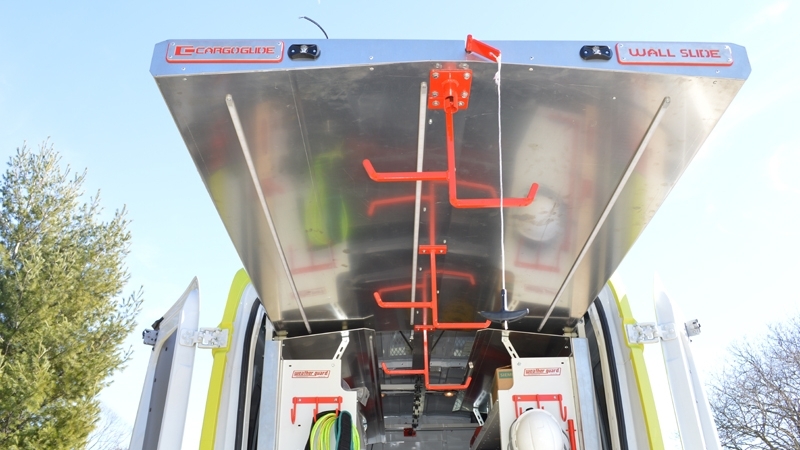 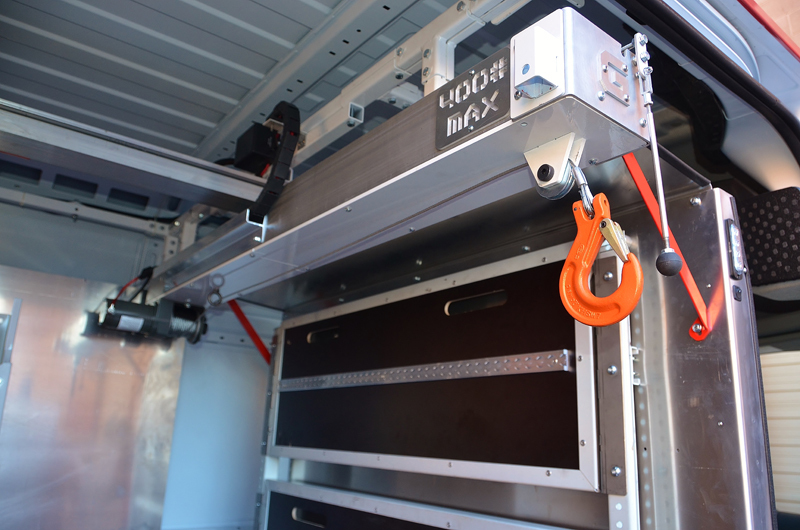 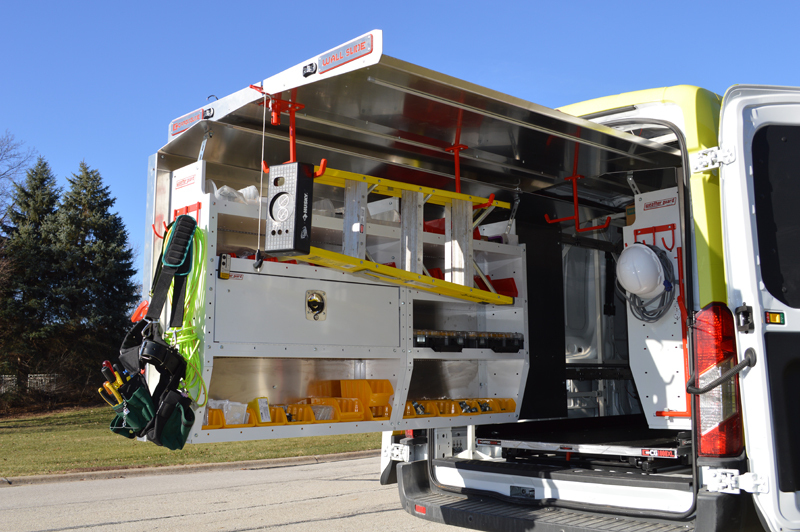 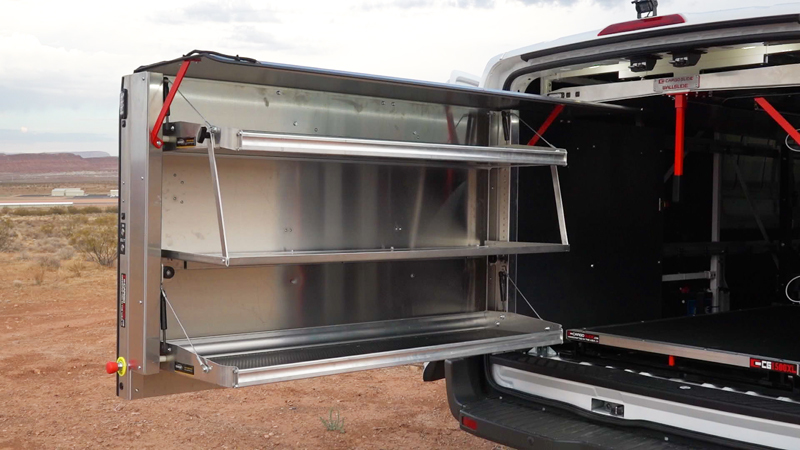 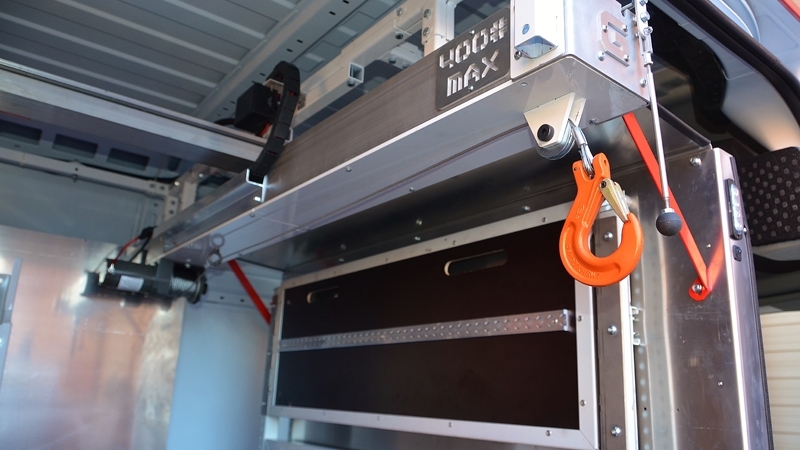 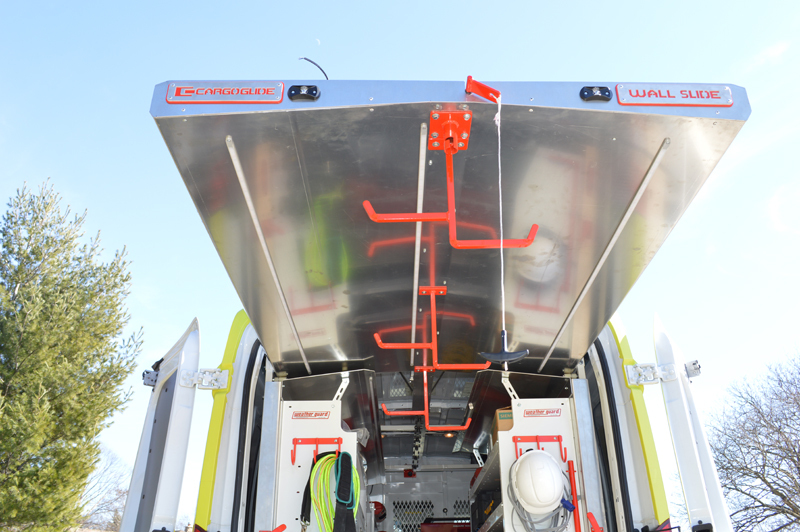 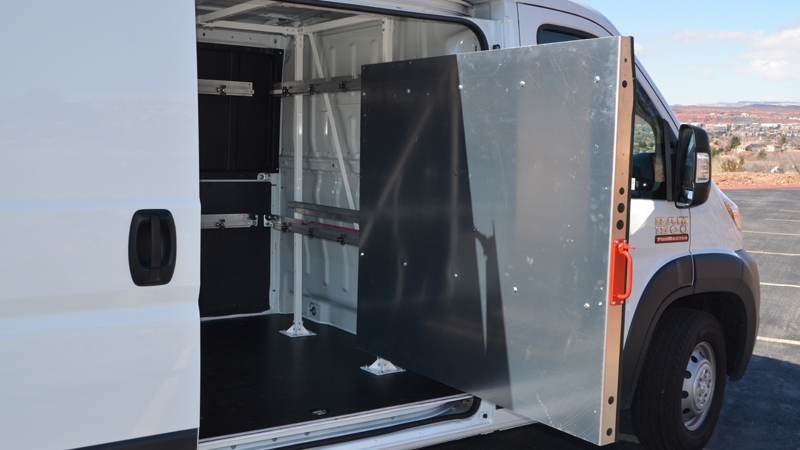 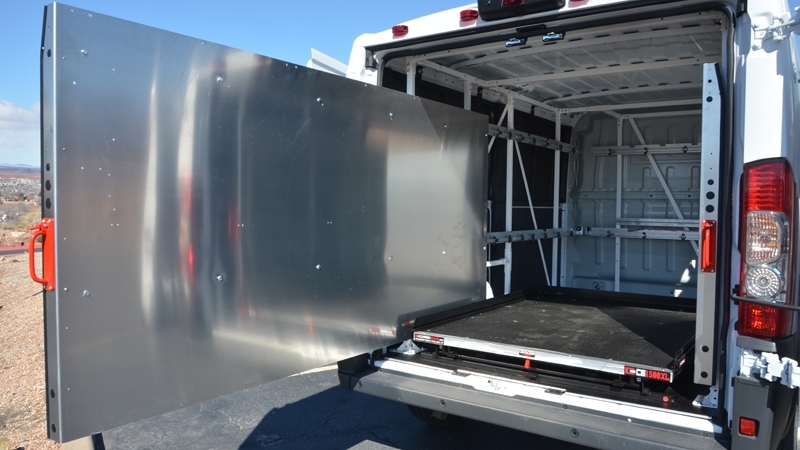 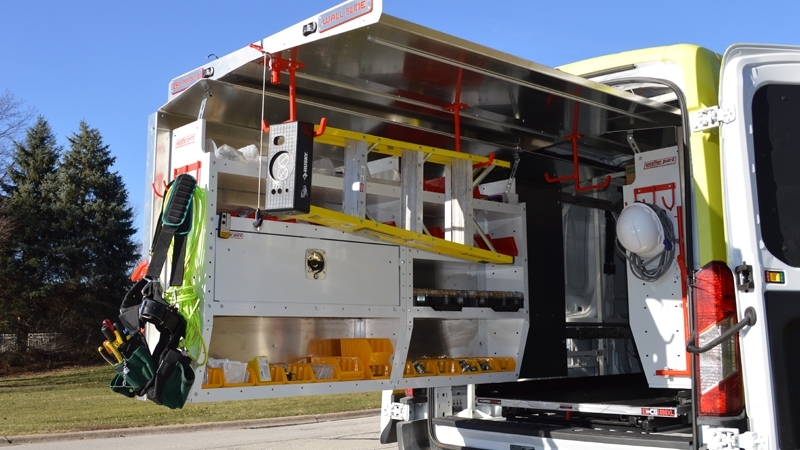 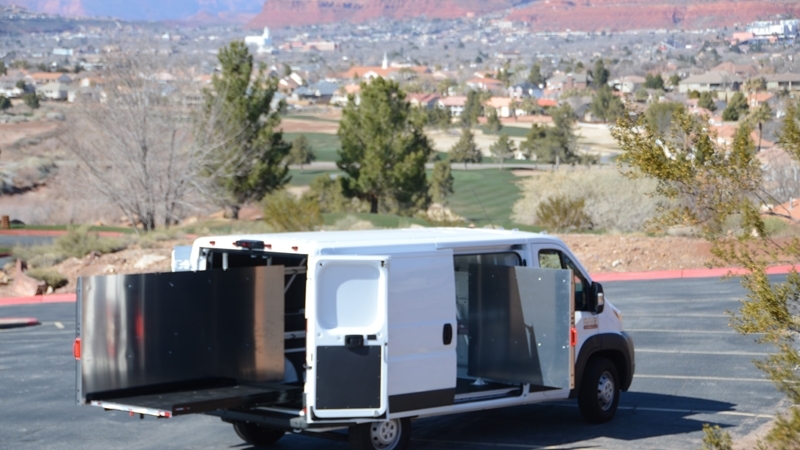 The WallSlide System is a steel framework mounted inside the van with aluminum sliding walls. 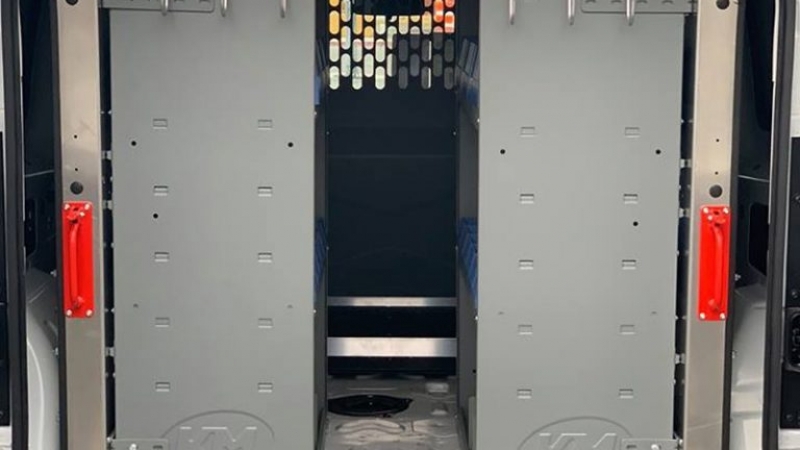 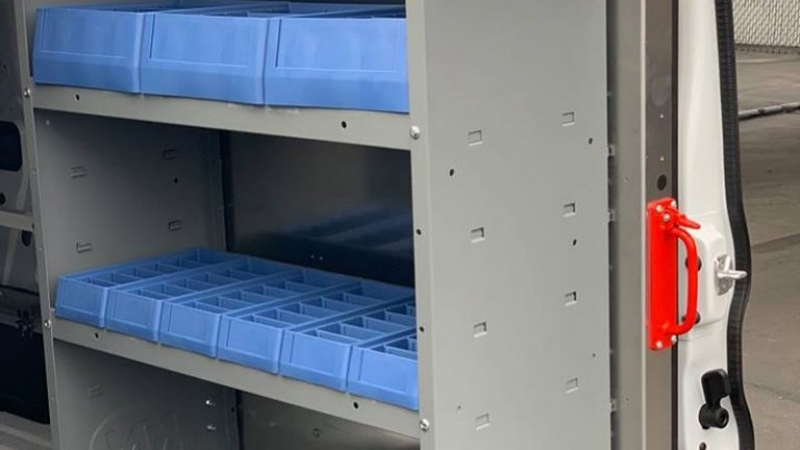 From motorized walls to lighting, WallSlide is full customizable with several options and designed to attach any brand of shelving, bins, and containers onto the sliding walls. 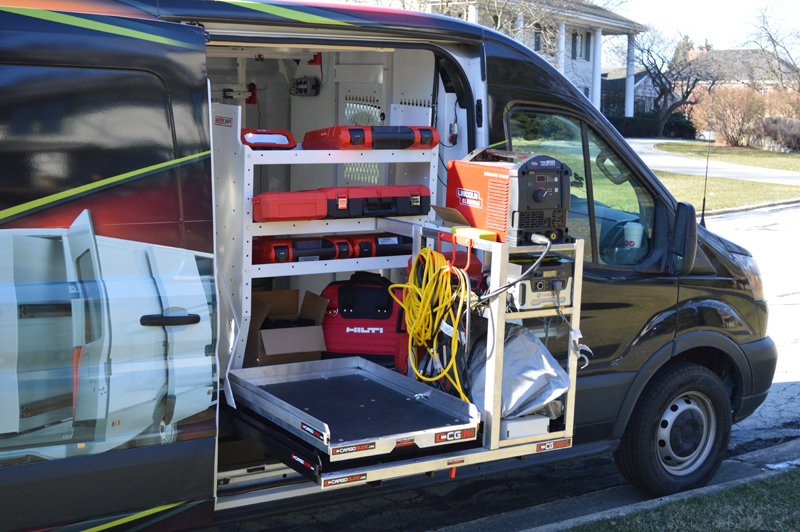 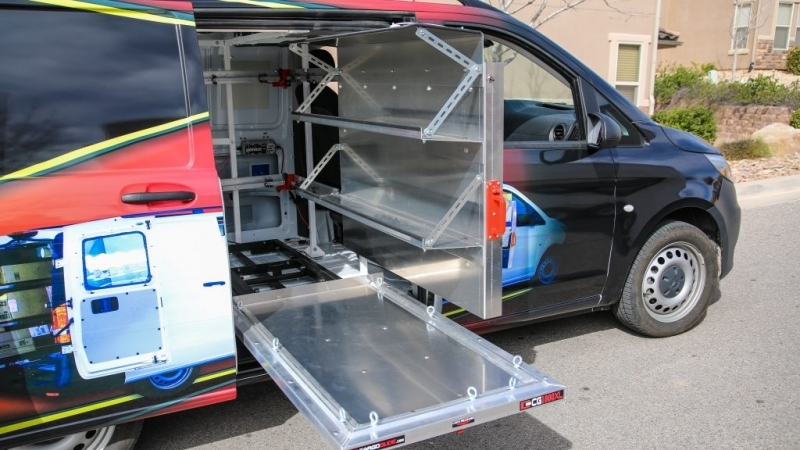 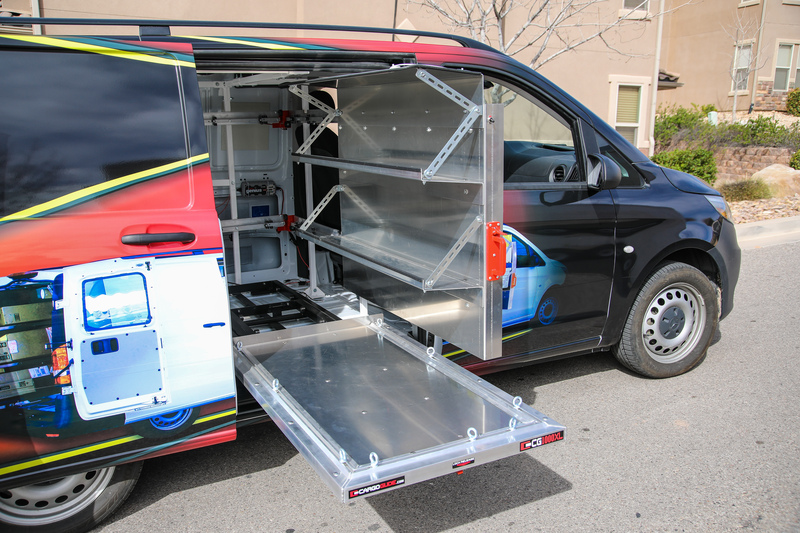 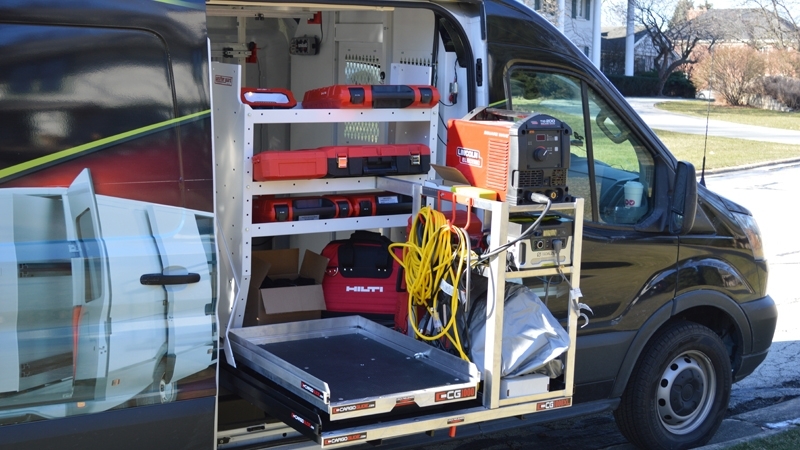 The WallSlide System starts with a framework that is designed specifically for your van's make and model. 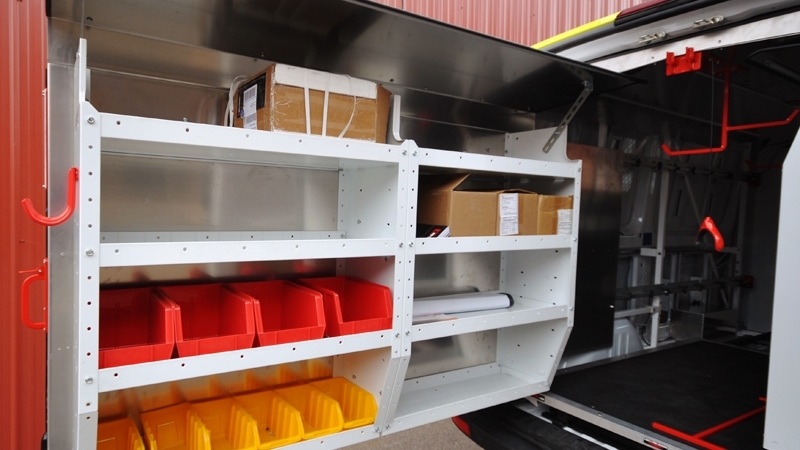 Next choose which walls you need for your system and which options you want for each wall. 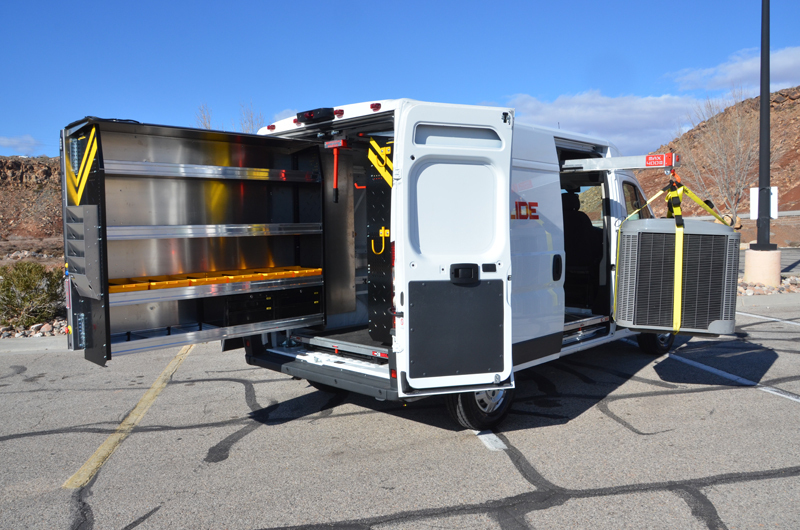 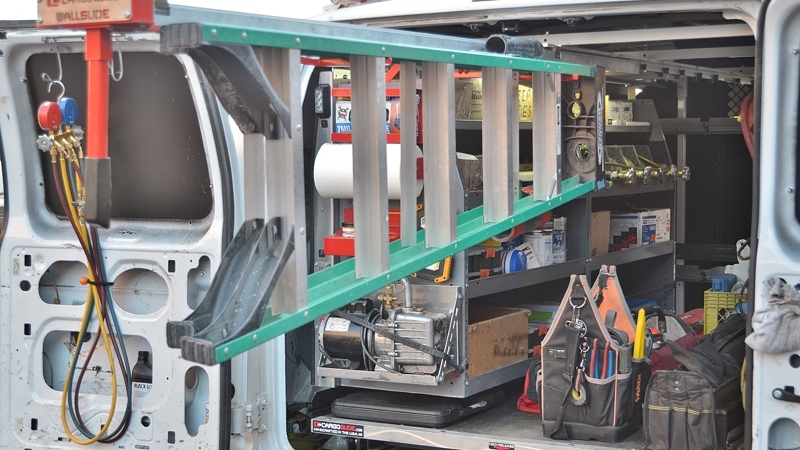 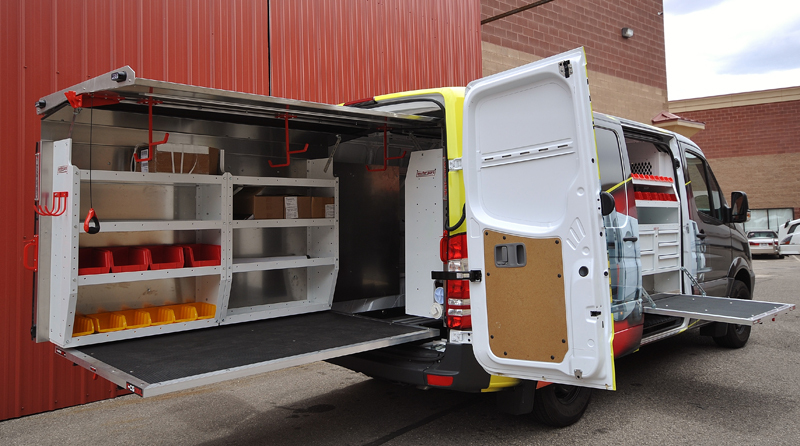 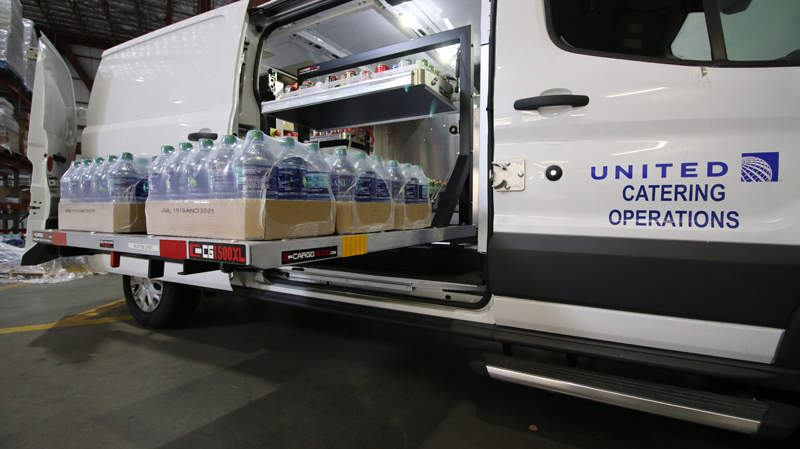 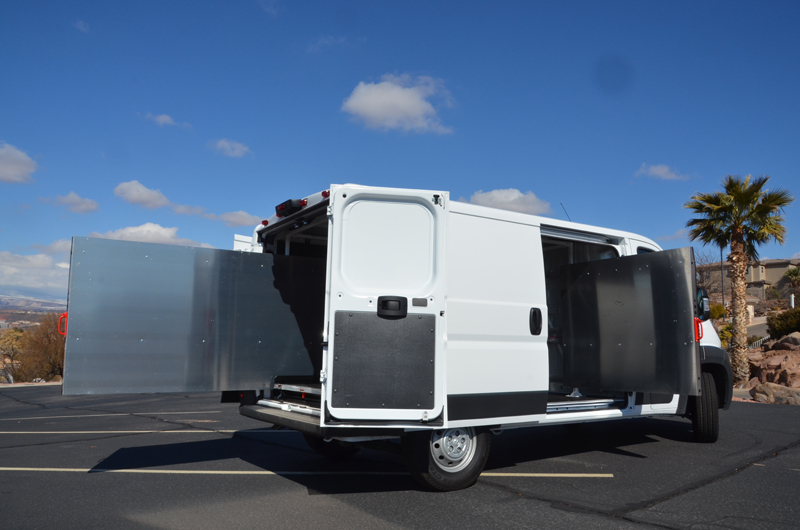 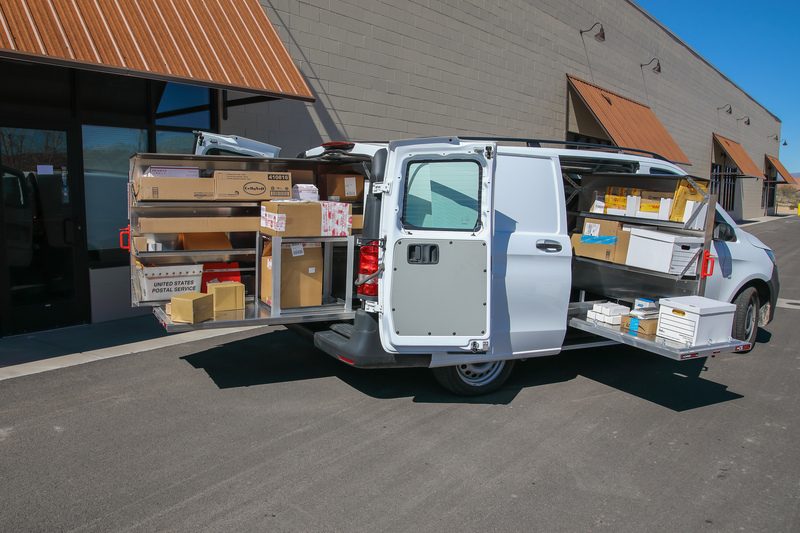 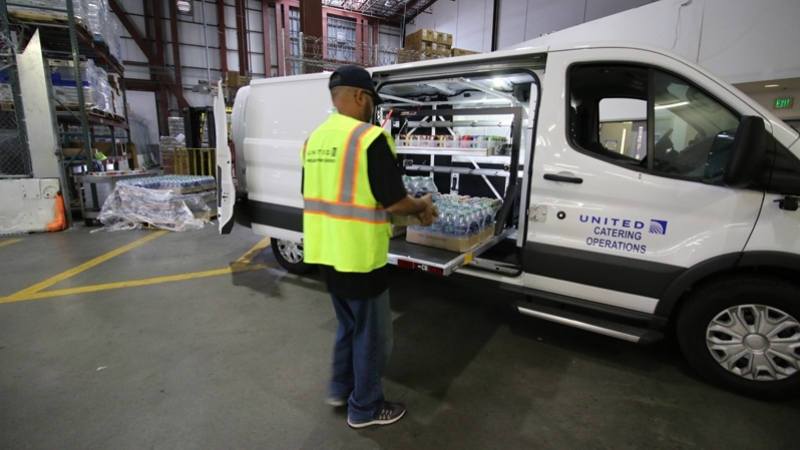 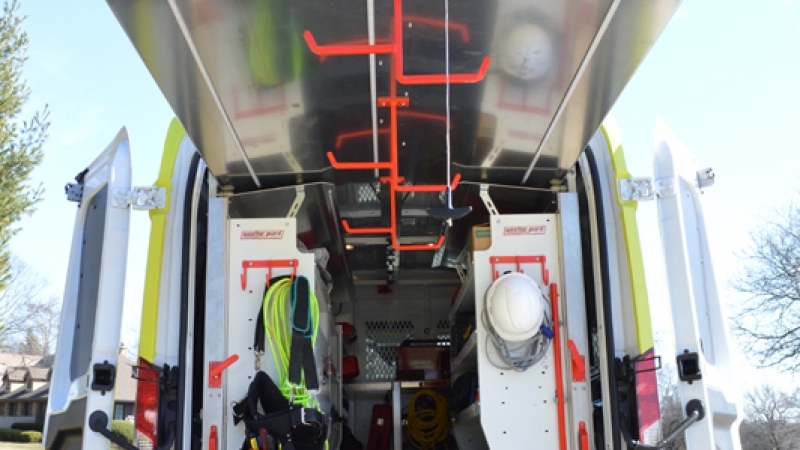 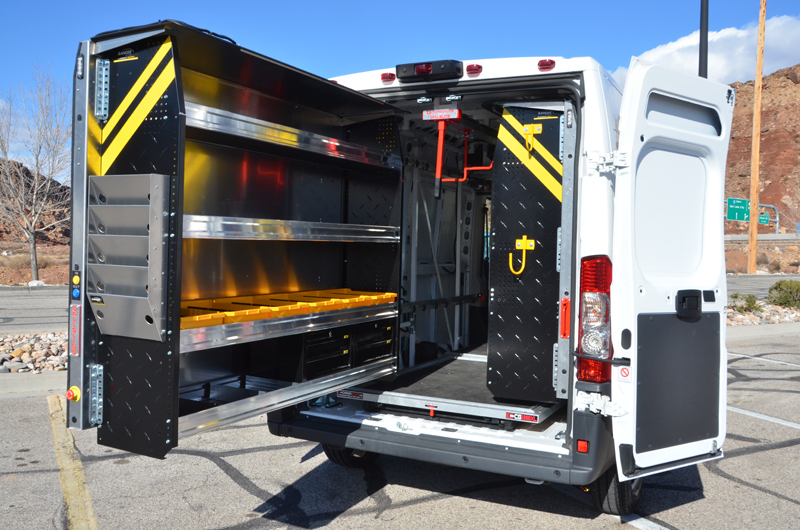 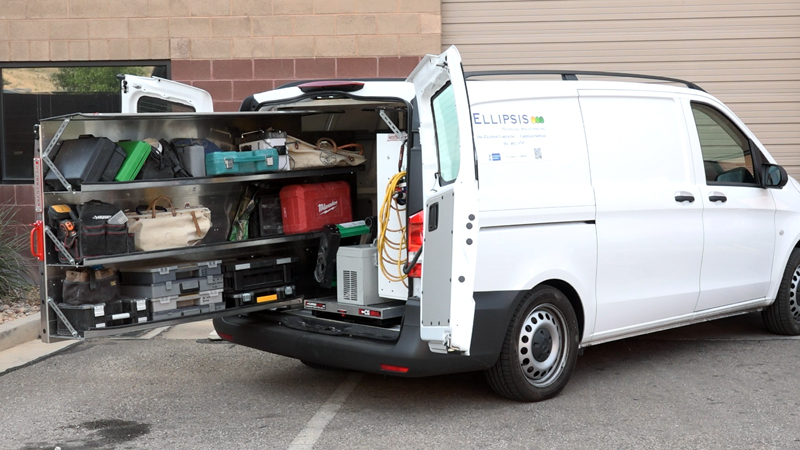 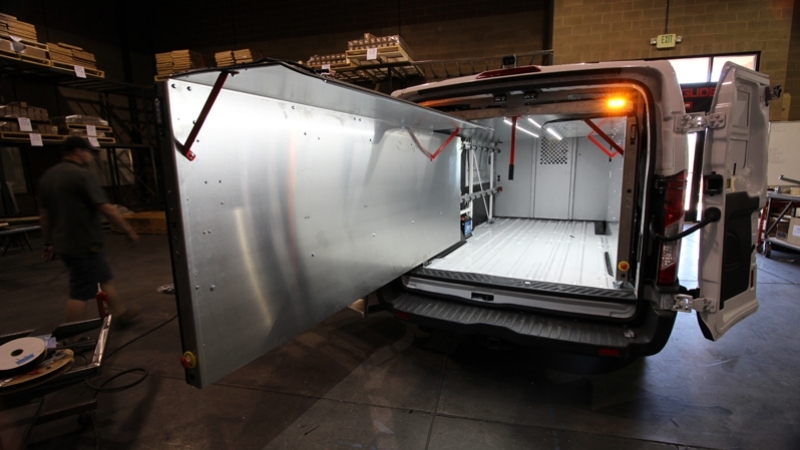 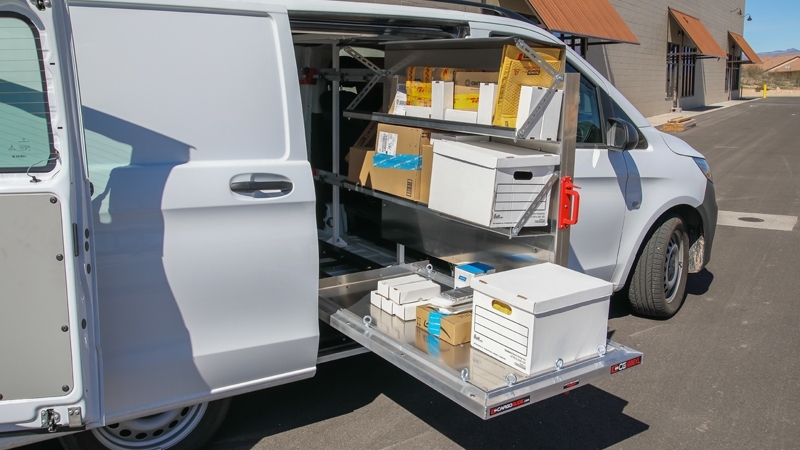 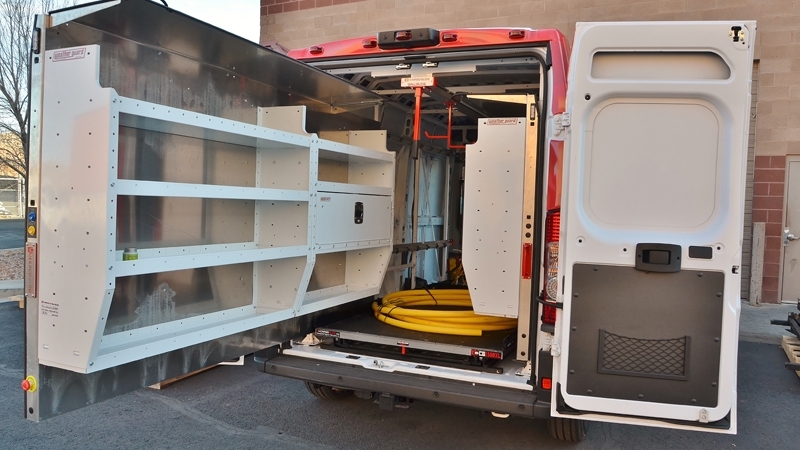 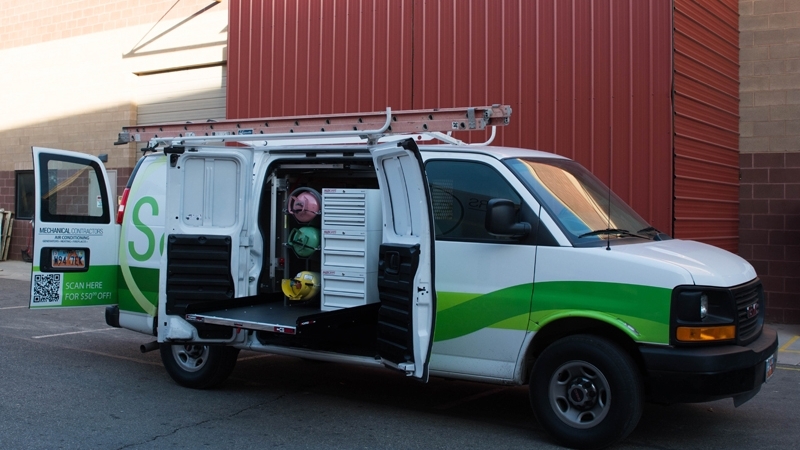 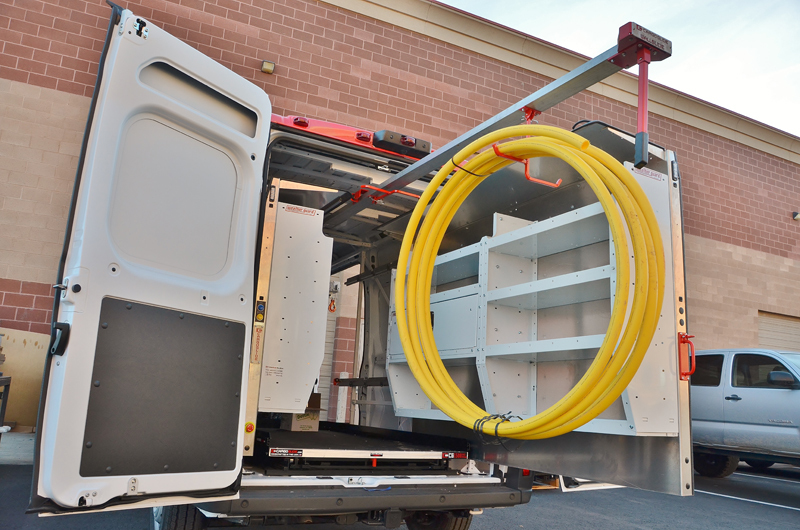 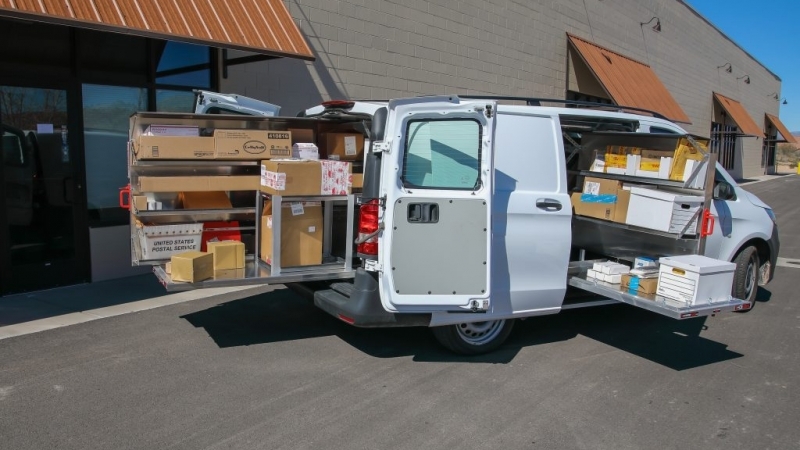 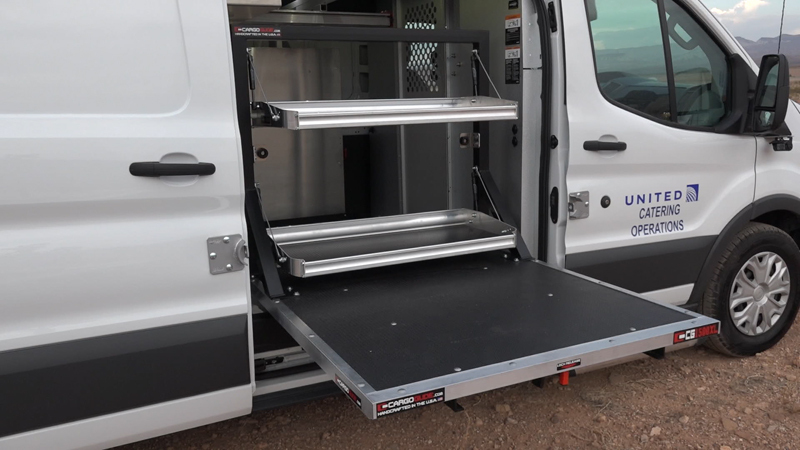 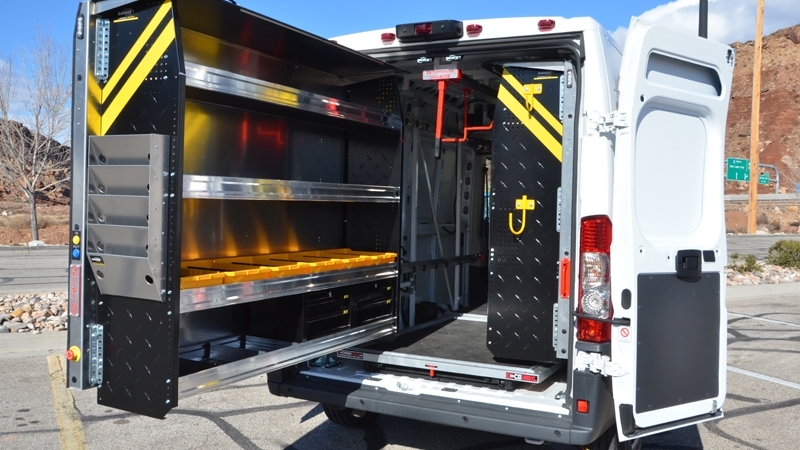 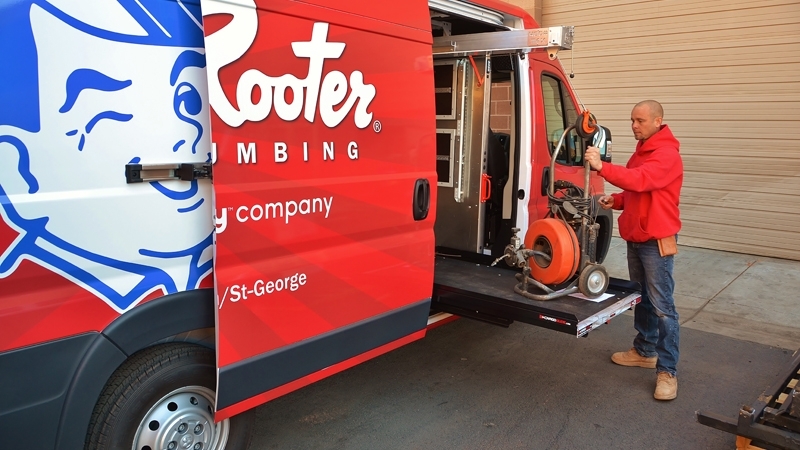 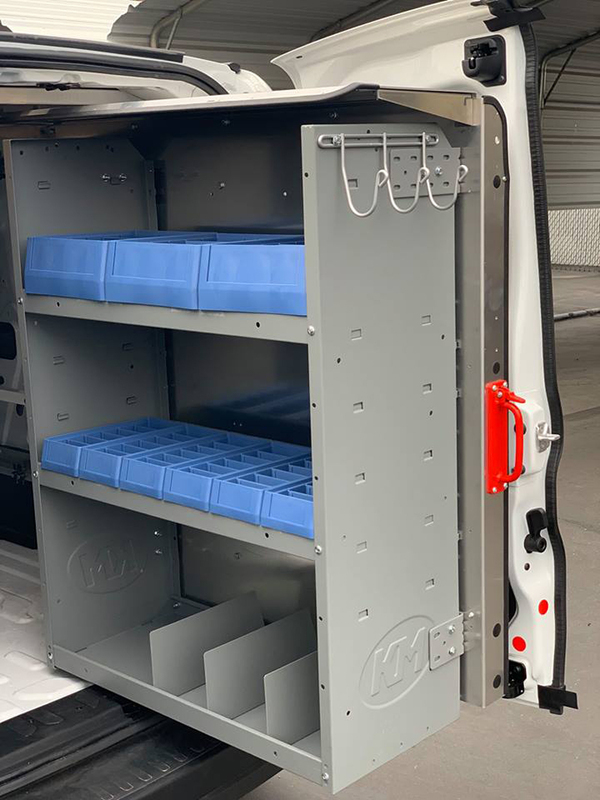 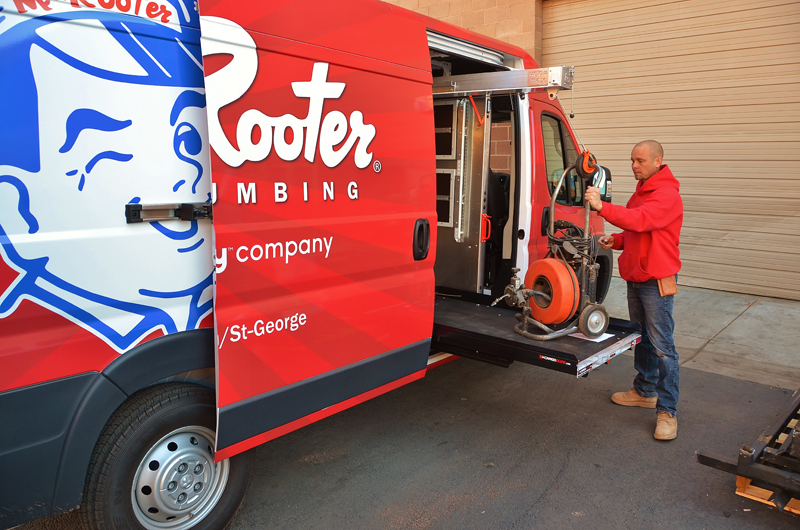 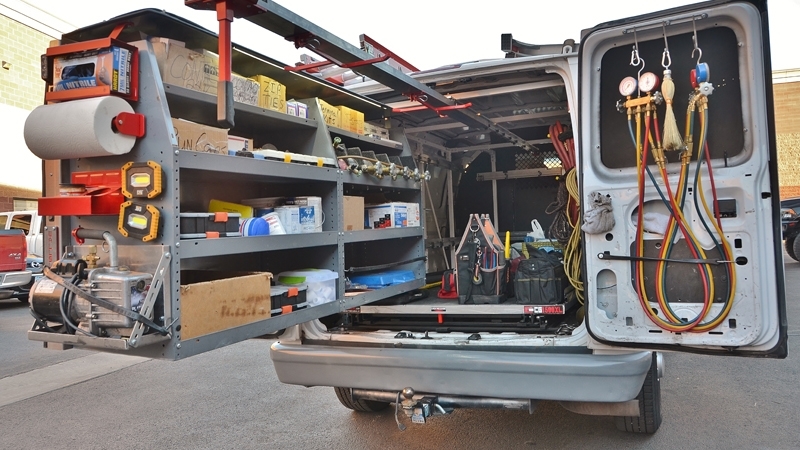 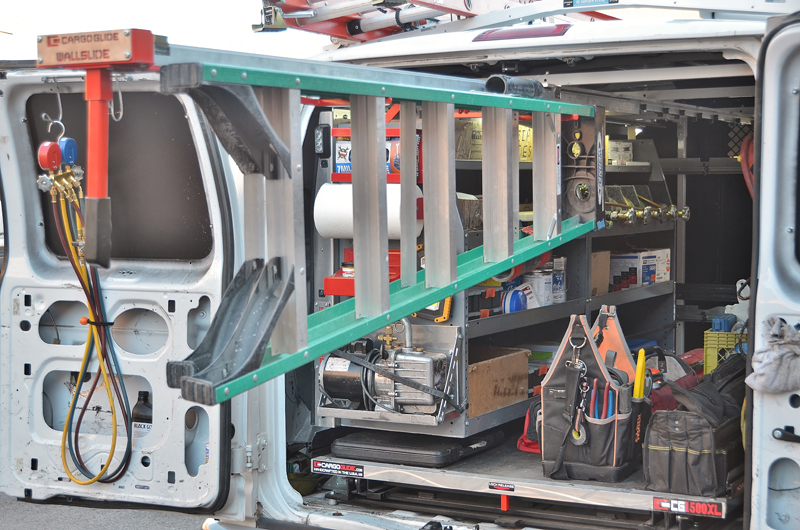 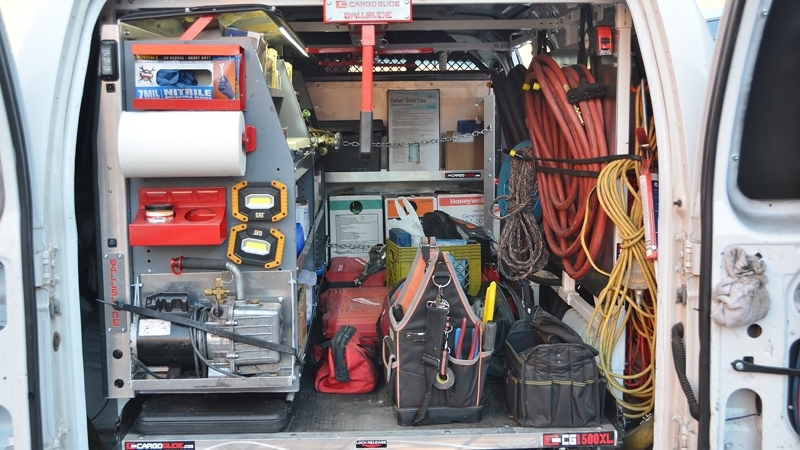 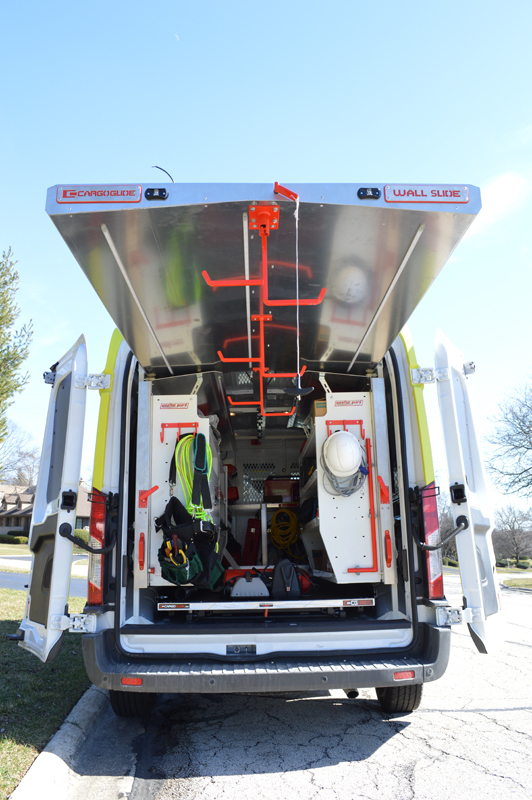 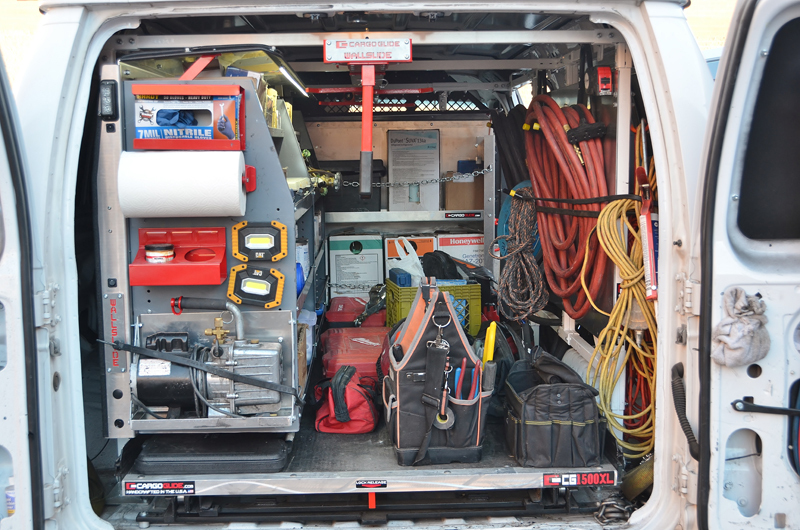 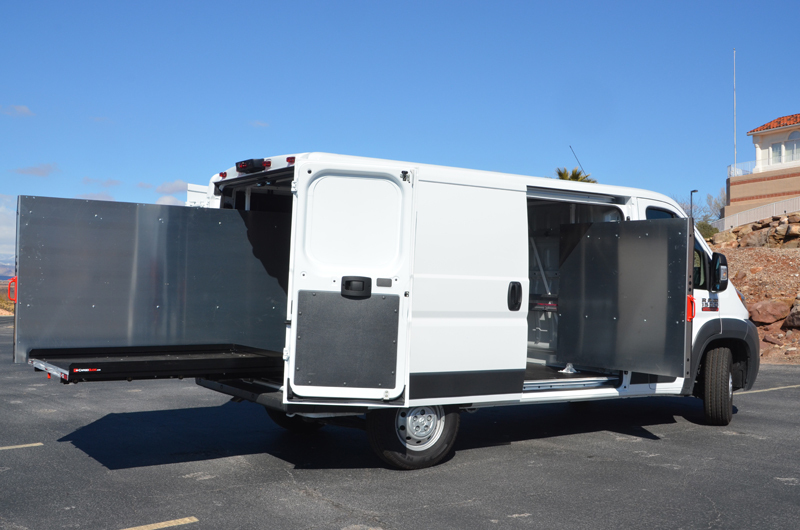 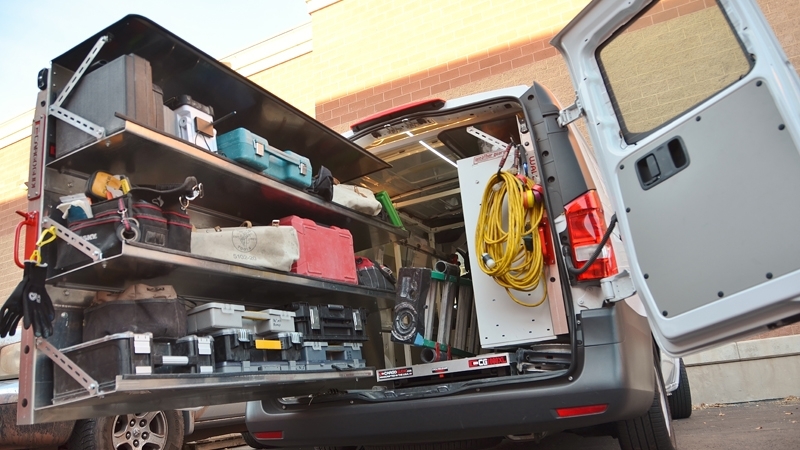 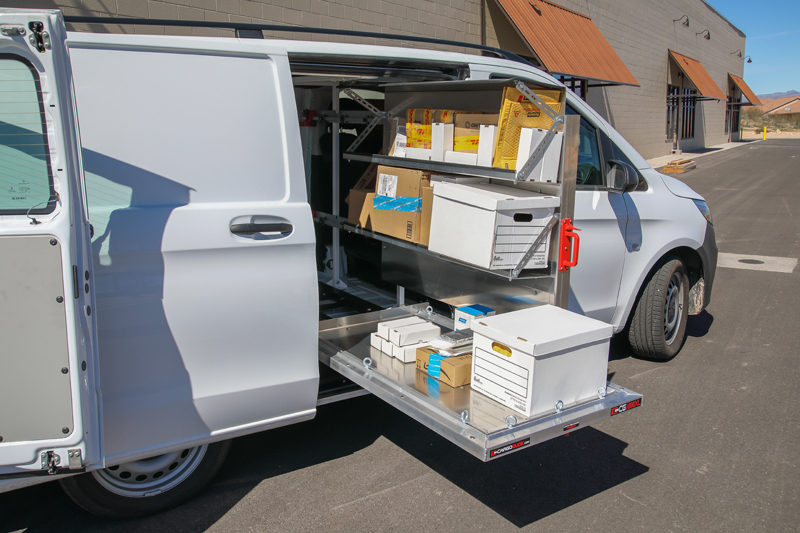 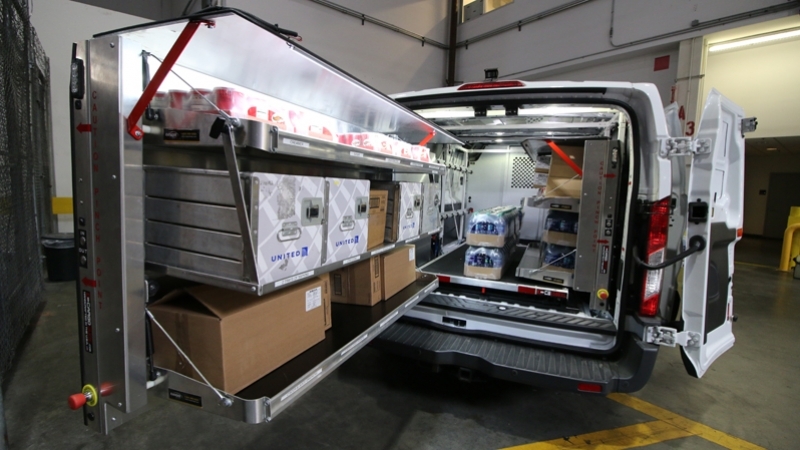 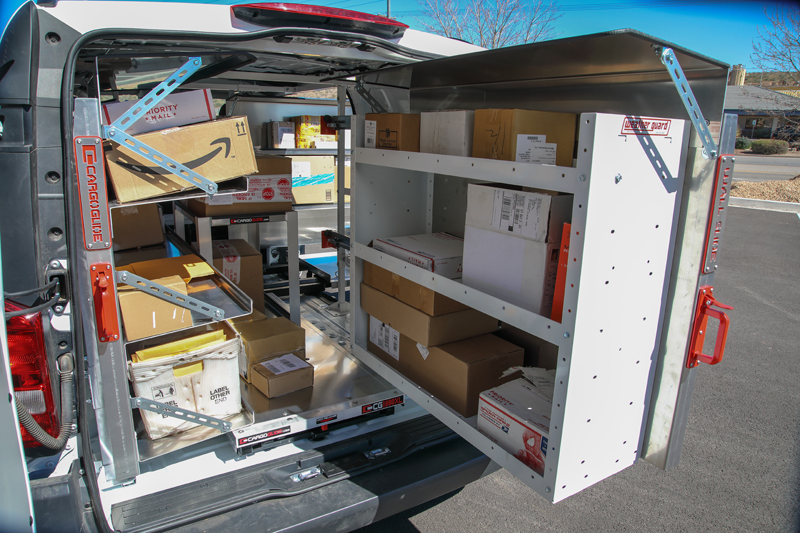 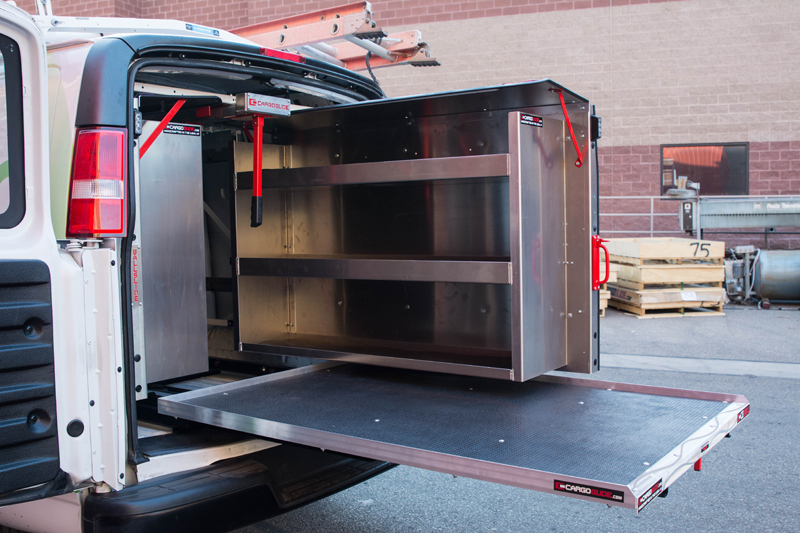 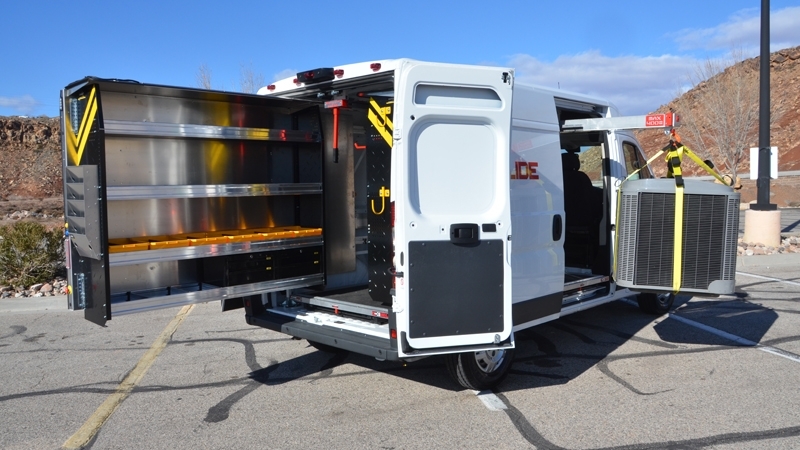 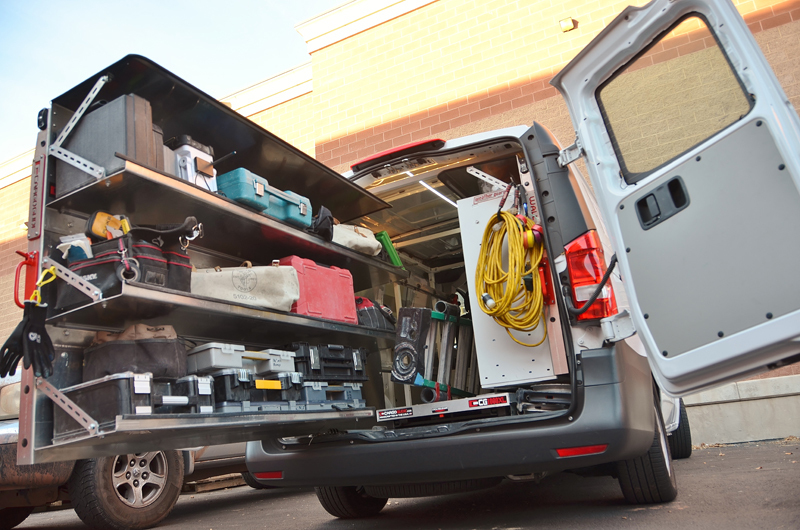 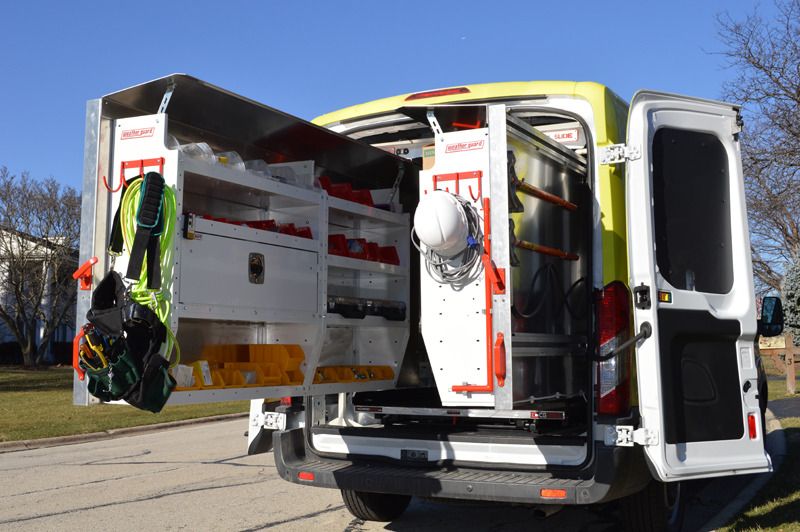 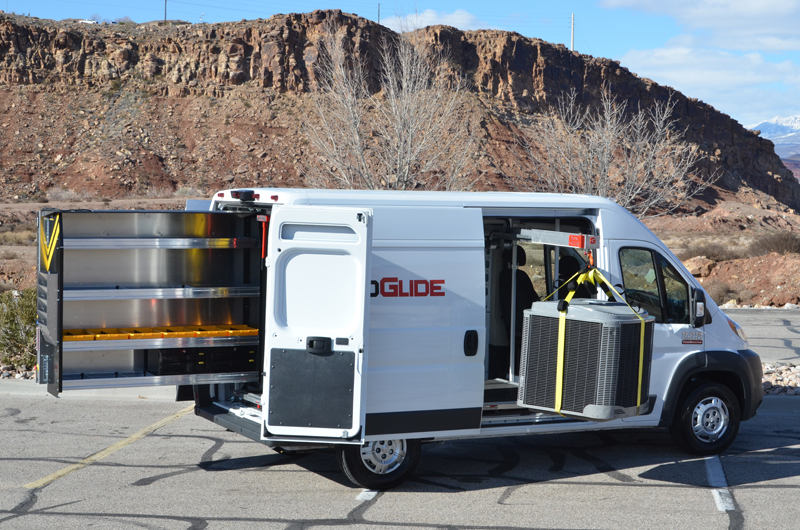 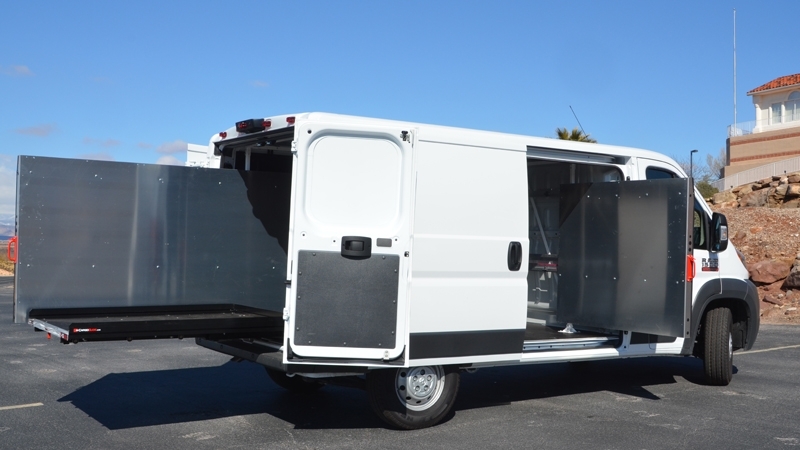 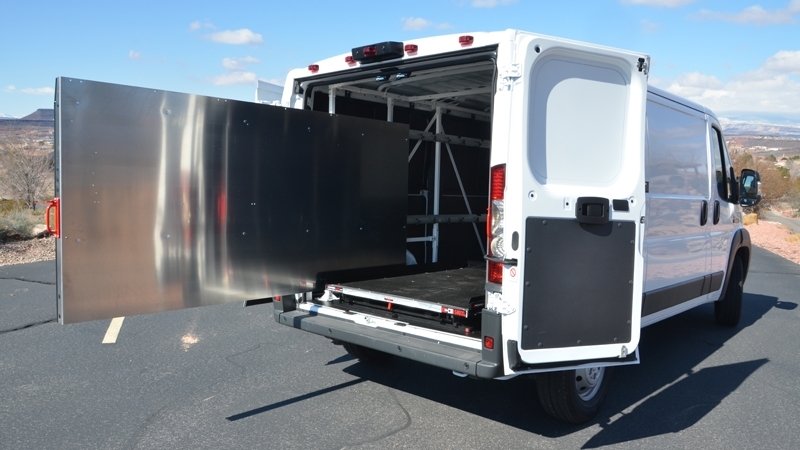 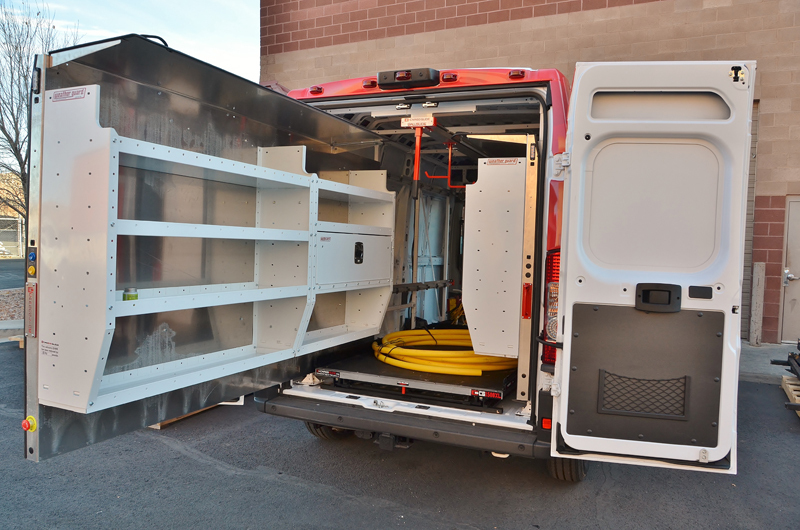 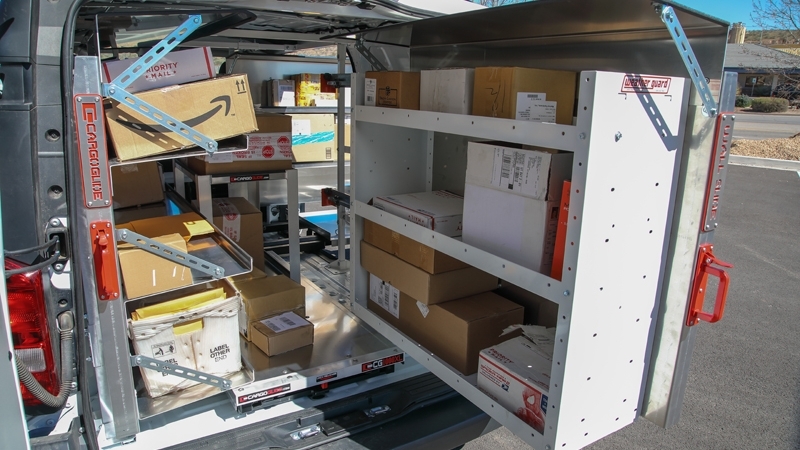 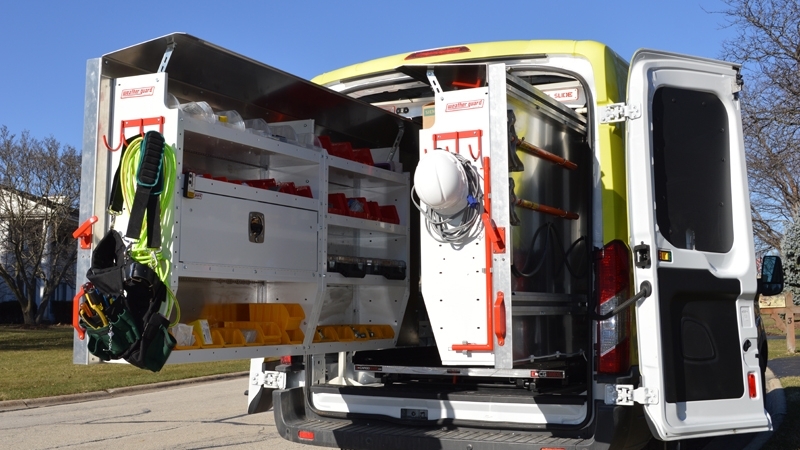 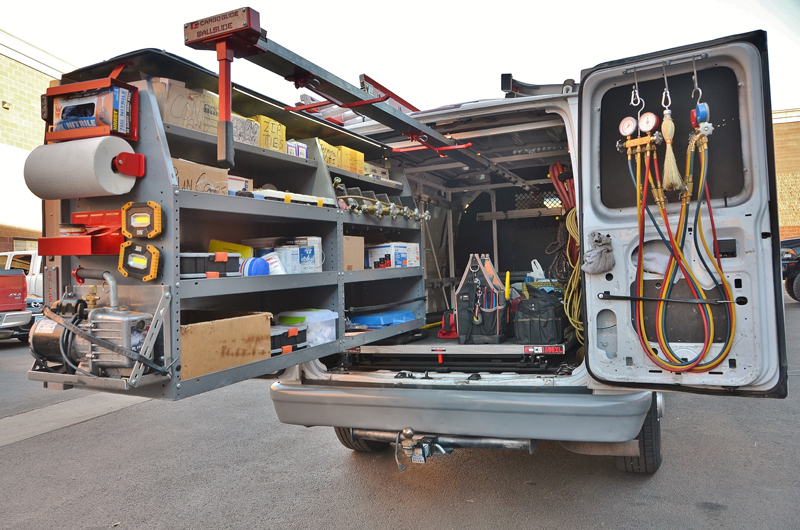 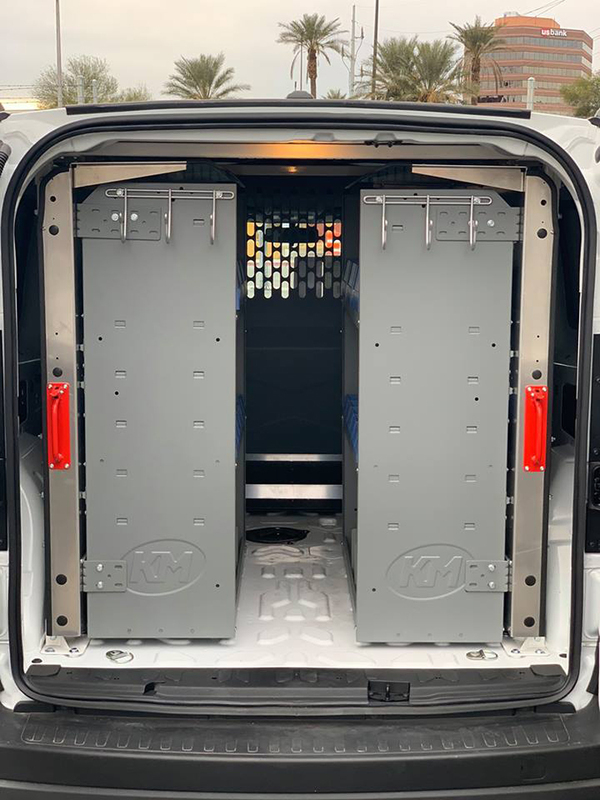 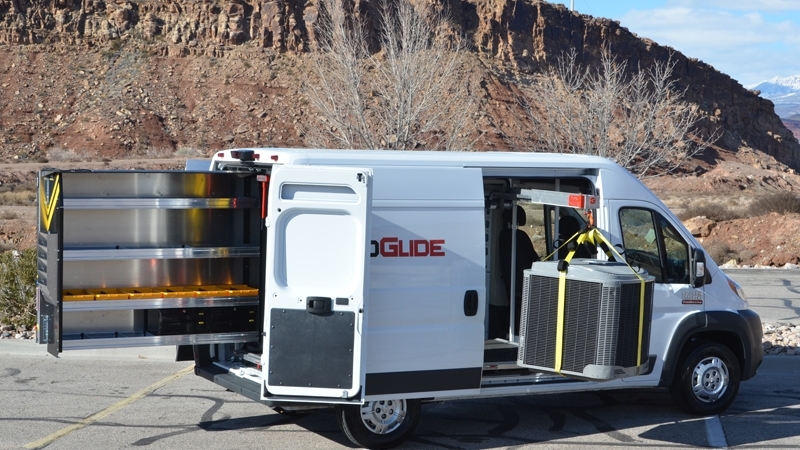 The Ceiling Slide Rail is available for most vans and has options of ladder racks, weather canopy, and additional lighting.